If you have the opportunity to go to Grumpy’s Cafe you have to take advantage of it. 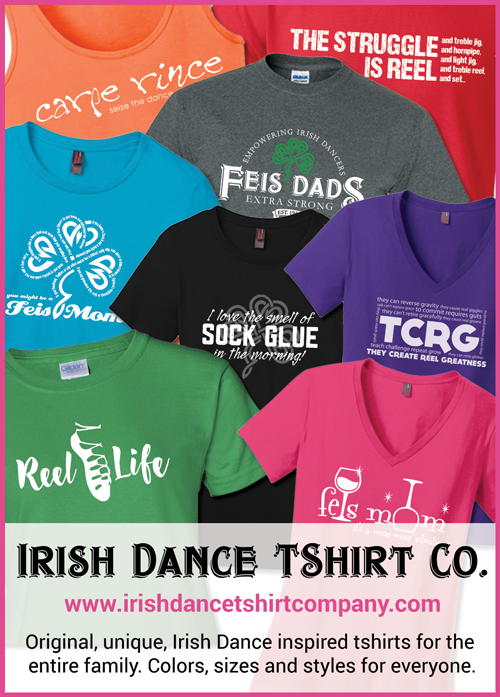 We went again last Sunday before the Cleveland Feis, got there shortly after 8 and were seated immediately. Good coffee in mis-matched mugs like the type you would find in your cupboard at home, and a homey yet eclectic feel make this a great place for a pre-feis breakfast. 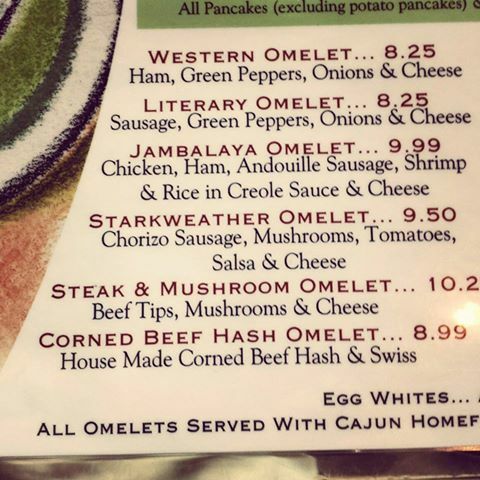 The servings are huge and I had the Jambalaya omelet (see the pic for some of the other omelet options) which was outrageous. They serve most everything with cajun potatoes so if you don’t like spicy, order a different side. The wife had french toast and the girl child had pumpkin pancakes and none of us needed lunch. This is one of those rare local finds that are nice people making great food at reasonable prices, and if you get the chance, I highly recommend it. What The Feis Feistaurant Rating = 10 – must visit!